For several years there have been studies suggesting that the active compound in marijuana, known as THC, reduces the production of amyloid proteins (A Beta) in the brain. Since the accumulation of A Beta is considered a hallmark of Alzheimer’s disease, there have been ongoing studies trying to determine if THC could slow or stop the progression of Alzheimer’s. The results of studies to date have been mixed. A small, 3-week study in the Netherlands followed 50 Alzheimer’s patients, half of whom received THC in pill form, and half of whom received a placebo. The study reported no measurable improvement in agitation, sleep disturbances, aggression, or anxiety. On the other hand, an Israeli study involving 10 people who all received THC in an oil form showed a significant improvement after 4 weeks of treatment. These studies have been very small and of short duration. Like other possible treatments, it may be that THC could have a positive impact only if taken prior to the onset of clinical symptoms. 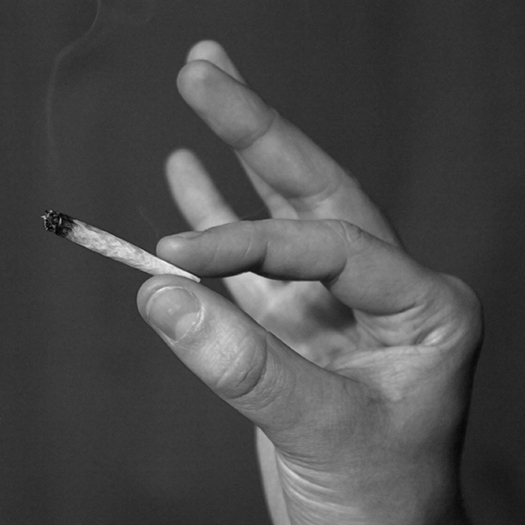 This past month the Salk Institute has added new insights into the possible benefits of THC. Studying the response of brain neurons to THC in petri dishes, the Salk investigators concluded that not only does THC reduce the development of A Beta, it also reduces the inflammation that clinicians believe triggers and accelerates the Alzheimer disease progression. The precise role of A Beta is not known. There is a new evidence that A Beta may be a protective response to foreign elements, such as bacteria, virus or fugi. However, when the A Beta accumulates, it causes inflammation of the neurons. If this theory turns out to be accurate, the use of THC may well have its place in treatment options. Previous Article: The Worried Well: Am I Getting Early Alzheimer’s?